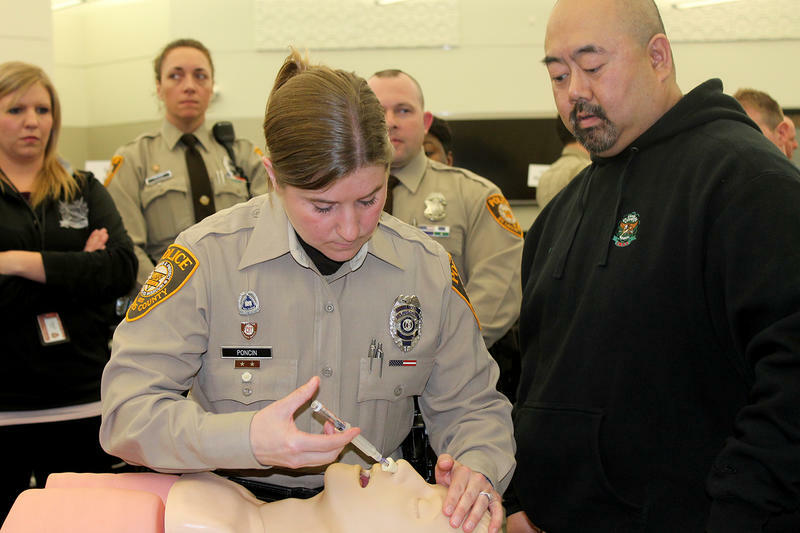 St. Louis County police carry nasal naloxone kits. 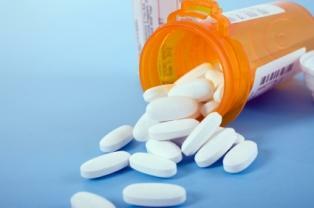 The FDA has now approved a version that needs no assembly, akin to nasal allergy sprays. The apparent victory is HB 1568, which was passed by the General Assembly on Tuesday. Right now, only medical professionals and first responders have access to the opioid overdose antidote naloxone. But if the governor signs the bill into law, people can add it to their medicine cabinet. That’s important because if the antidote isn’t administered within five or six minutes, the person overdosing will die. A spokesperson for Gov. Jay Nixon said the governor will review the bill before deciding whether to sign it into law. If the naloxone expansion bill becomes law, Missouri pharmacies can make arrangements to sell the antidote without a prescription. 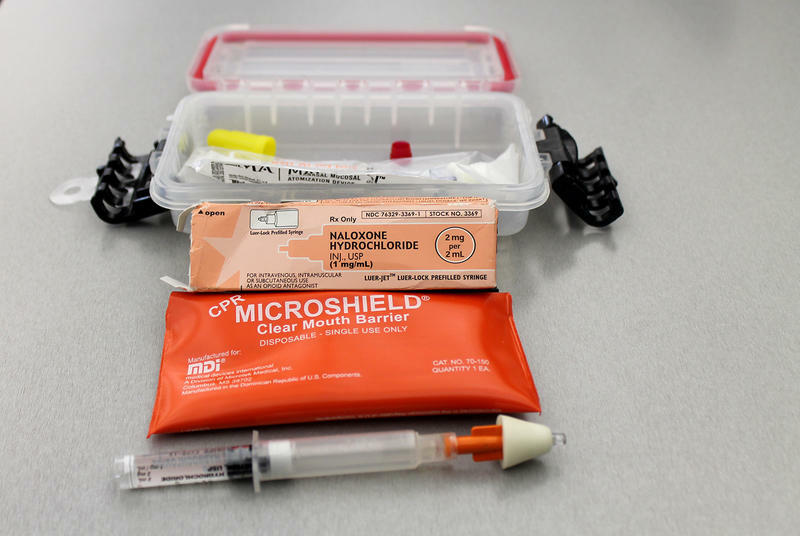 Fitzwater said he expects most Missouri pharmacies will make arrangements to update their drug protocols this summer to be ready to offer naloxone by the time the bill would become law on Aug. 28. A Senate amendment to the bill bars physician technicians from distributing the antidote, but Fitzwater said that pharmacists must be present for anything behind the pharmacy counter to be sold and the amendment shouldn’t have an impact on access to the drug. The nasal spray version of naloxone costs about $50-70 without insurance. It can reverse an overdose and restore breathing if administered before the heart stops. On Thursday state Sen. Rob Schaaf, R-St. Joseph, spent half-an-hour filibustering the bill to create a prescription drug monitoring database before the Senate laid it aside without a vote. “We want every citizen in this state to give up a little bit of their liberty, and put your sensitive information on this database so we can use that sensitive information to prevent someone else from breaking the law,” said Schaaf, who has opposed legislative efforts to create a prescription drug monitoring program for the past few years on privacy grounds. Supporters argued that the database would be protected under existing patient privacy laws and help doctors and pharmacists prevent patients from filling multiple prescriptions for highly-addictive drugs. There’s a slight chance the prescription drug monitoring bill could be brought up again before session ends Friday evening, but a vote is very unlikely. Meanwhile, efforts to create a so-called Good Samaritan law didn’t make it very far this year. Both House versions of the bill are still in committee. The idea of a Good Samaritan law is to encourage drug users to call 911 if they or someone they’re with needs help by protecting them from prosecution for possessing an illegal drug as long as they only have a limited amount of the drug. This year’s bill would curb ordinance violations, such as tall weeds or housing code problems. It would also reduce the maximum traffic fine to $225 and would create a sliding scale for non-traffic fines. 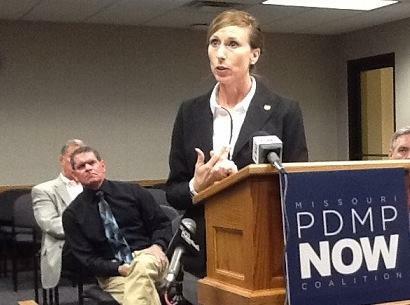 A showdown is looming in the Missouri statehouse over an effort to make Missouri the final state in the nation to gain a prescription drug monitoring program. State Sen. 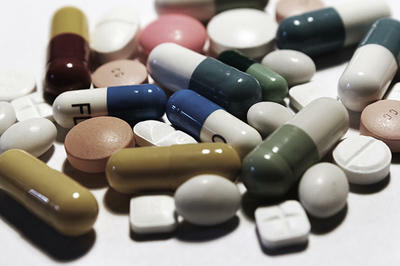 Rob Schaaf, R-St. Joseph, has promised to filibuster House Bill 1892, which would let doctors check a database before giving patients a prescription for opioid painkillers, and require pharmacists to report filling opioid prescriptions within 24 hours.